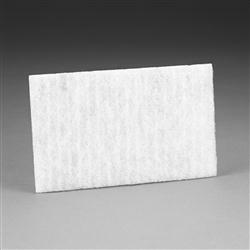 Replacement particulate prefilter for 3M(TM) Adflo(TM) Powered Air Purifying Respirator (PAPR). Installs into the Adflo turbo filter cover, between the spark arrestor and the High Efficiency particulate filter. Jaco Aerospace and Industrial is your one stop resource for 3M(TM) Adflo(TM) Prefilter, Welding Safety 15-0099-99X12 12 EA/Case and all of your 3M Products, Tapes, aerospace and industrial needs. SKU Marketplace Product Description: Replacement particulate prefilter for 3M(TM) Adflo(TM) Powered Air Purifying Respirator (PAPR). Installs into the Adflo turbo filter cover, between the spark arrestor and the High Efficiency particulate filter.